Want to Inspire More Donor Loyalty? Do What Marriott Does. Marriott gets it. The nonprofit sector, not so much. I’m talking about fostering loyalty. Marriott has built the world’s largest hotel company, in part, by knowing how to cultivate a loyal customer base. By contrast, nonprofit organizations continue to hemorrhage donors, according to the 2016 Fundraising Effectiveness Survey Report from the Association of Fundraising Professionals and the Urban Institute. I know. I know. You already send your donors a thank-you letter when they make a gift. As a donor, I expect that, just like I’ve come to expect a thank-you email from Marriott following each of my stays. Beyond that, I’m talking about surprising people with an unexpected message of gratitude. Yes, I know I’m a Marriott Rewards member. However, I did not realize that I’ve been a Marriott Rewards member for nearly a quarter-century. I enjoyed learning that. In addition, I appreciated being thanked for my overall loyalty, not simply for a recent stay. Throughout the year, often in surprising ways, Marriott shows they appreciate my business. The fact that Marriott shows its appreciation is not the only reason the company is my preferred hotel company. There are many other factors. But, the fact that Marriott makes me feel valued is one important reason I value Marriott. This Thanksgiving, send your donors an email, card, or letter expressing your appreciation. However, don’t simply thank them for their past support; thank them for caring about whatever your organization’s mission is. Also, thank them for their loyalty. Donors Say: Enough about You. Let’s Talk about Me! A recent study reveals that donors support charitable causes for “very personal reasons.” In other words, giving is about them (the donors and what motivates them) and is far less about you and your nonprofit organization. 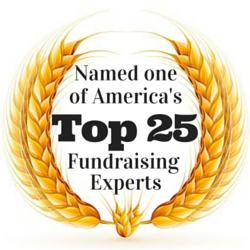 This is not surprising news to those of us who practice donor-centered fundraising. Nevertheless, it’s nice to have additional research data that supports the idea of being donor centered. Donor Loyalty Study: A Deep Dive into Donor Behaviors and Attitudes is the study report from Abila, a leading provider of software and services to nonprofit organizations. The researchers explored questions with a representative sample of 1,136 donors in the United States across all age segments who made at least one donation to a nonprofit organization within the previous 12 months. 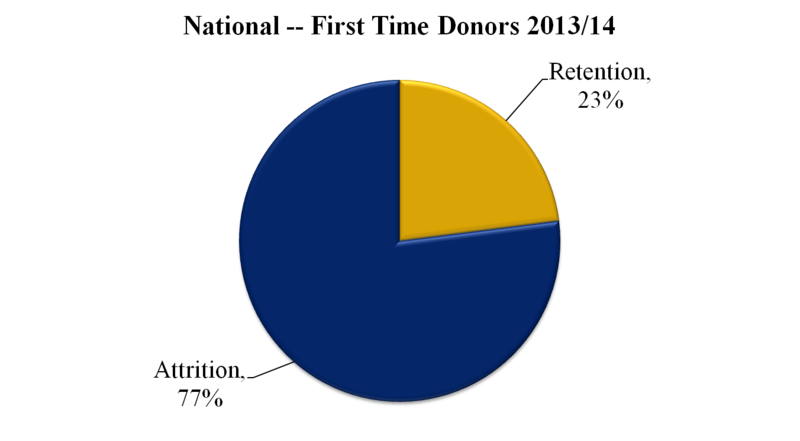 Other reasons for donating generated far lower responses, ranging from just three to 18 percent. You’ll notice that each of the top three reasons for giving involve “I” not necessarily you or your charity. Let’s explore this a bit. The number-one reason for giving involves the donor’s passion. You’ll also notice that the donor is passionate about and supports the “cause” though not necessarily the organization. In other words, I may be passionate about fighting cancer. However, I might be fickle when it comes to supporting a particular cancer charity. For example, this year, I might support the American Cancer Society. However, if I’m not stewarded or asked effectively, I might shift my support to the City of Hope next year. I’ll still be a passionate supporter of the fight against cancer, but the organization I choose to support will change. The challenge for nonprofit organizations is to embody the cause for which donors have passion. An organization needs to demonstrate to its donors that it is the worthy channel for their passion. Remember, donors have choices. You need them more than they need you. If you do what I’ve just said, donors will understand that you need them, that you “depend” on them. And that’s the second most common reason why people give. If your organization embodies a donor’s passion and let’s that donor know how important she is, she will be far more likely to renew and upgrade her support. The third reason for giving is really just a sub-category of the first. Again, it’s about the “cause” rather than the organization. Yes, in some cases, it might be about your specific organization. However, that won’t always be the case. 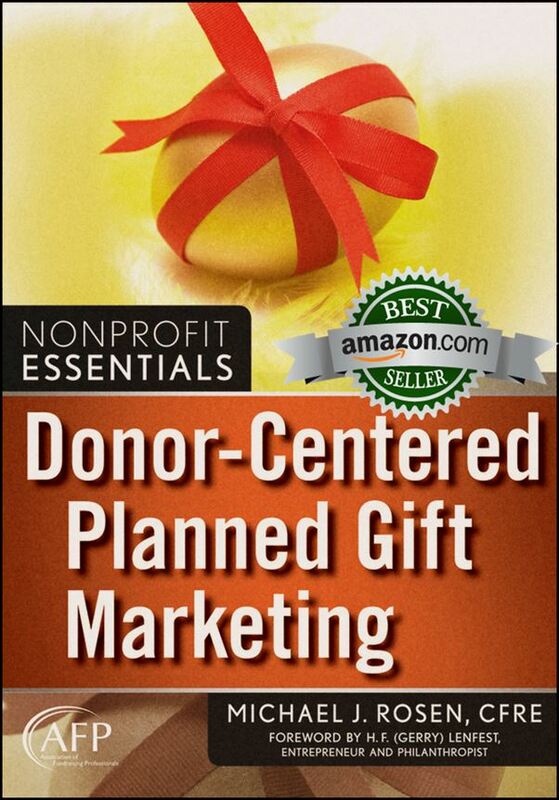 By understanding your donors, you can tailor stewardship and appeal messages to them. This will improve your effectiveness. Building Donor Loyalty: What’s New? Among first-time donors to nonprofit organizations, the median rate of attrition is 77 percent! In other words, more than three-quarters of all new donors to a charity walk in the front door and promptly exit out the back door. That’s the appalling finding of the Association of Fundraising Professionals Fundraising Effectiveness Project. As I worked on those articles, I couldn’t help but wonder: What’s new and effective that can help us build donor loyalty? Well, we’ll soon find out. Adrian Sargeant, PhD, Director of the Centre for Sustainable Philanthropy at Plymouth University, will be presenting “Building Donor Loyalty: What’s New?” at the AFP International Fundraising Conference (Baltimore, March 29-31, 2015). In his upcoming session at the AFP International Conference, Sargeant will demonstrate how even small improvements in loyalty, in the here and now, translate to whopping improvements in the lifetime value of a fundraising database. For example, he has found that a 10-percentage point improvement in retention can lead to a 200 percent improvement in the lifetime value of the fundraising database! Sargeant will also look at what drives loyalty, drawing on lessons from both the commercial and the voluntary sectors, including work on the big three drivers of loyalty: satisfaction, commitment and trust. 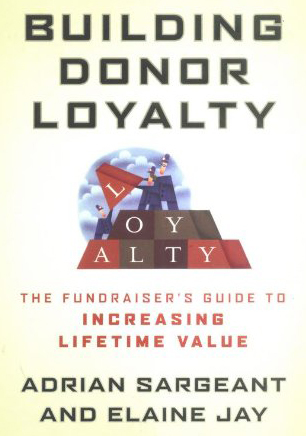 He will also explore new work on loyalty that looks at the role of donor identity and the extent to which donors identify themselves in part through their support of a nonprofit. Sargeant will show how the concept of identity interacts with the other three big drivers of loyalty and which of all these factors offers the greatest potential to the sector to bolster giving and grow long-term support.